goITics » 5 Hacks That’ll Make You Want To Throw Your Smartphone Away! Your new smartphone may be keeping you engaged throughout the day, but did you know it can be used to invade upon your privacy? Researchers from Georgia have created a program that can turn your smartphone into a spying machine. 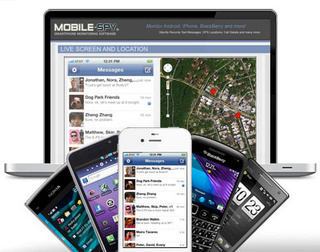 If you’ve kept your phone next to the keyboard while typing, it can spy on every keystroke that you make. The accelerometer on your phone can recognise the keystrokes that you make because of the impact on the desk. The distance of the keystroke from the phone is measured to deduce what key was pressed. Your smartphone or anyone else’s for that matter, can be used to steal your credit card information. All that is required is for a phone to be near the card. Not all cards are vulnerable though, this applies to the contactless credit cards that many banks issue nowadays. The radio chips on these cards can be scanned from a distance. Free cell phone charging kiosks aren’t all that rare nowadays. But did you know that these can be used to dupe you. A device placed inside these chargers can steal your personal data from the cell phone, including things like saved passwords, pictures etc. Over 360 people fell for this trick at the DefCon event in 2011. Hackers can infiltrate mobile phones by using fake cell tower, through which they hack into the phone’s radio network directly. Once the connection is made, they can listen in on every call that you make or receive on the phone. There’s an Android app known as PlaceRaider that secretly takes random pictures of you throughout the day. These pictures are then shipped to a central server and analyzed to create a model of your office, home etc. « 8 Brilliant Mobile Development Tools!